The great British pub continues to make way for coffee shops and eateries on our High Streets, but it remains the most popular leisure venue in the UK. Local Data Company figures, analysed by the BBC, show between 2011-16, the number of town centre bars, pubs and night clubs fell by about 2,000. But cafes, fast food outlets and restaurants have gone up by 6,000 across England, Scotland and Wales. However, there are still fewer coffee shops than pubs in our town centres. The West Midlands, Yorkshire and the Humber and Wales were the areas with the highest growth in leisure businesses, while Greater London was the only area which showed a decrease, with a -0.3% downturn. The figures - which do not include Northern Ireland - exclude shops and were collated by people walking up and down the country's high streets. The Local Data Company looks at businesses in the heart of town centres and not the surrounding areas. The largest growth areas included lounge bars (116%), cake makers (51%), juice bars (46%) and speciality restaurants. 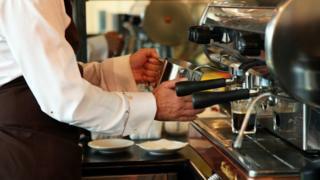 There was also a 31% increase in the number of coffee shops. Comedy clubs (-33%), snooker halls (-34%), internet cafes (-41%) and bingo halls (-22%) saw some of the biggest falls. Although pubs are declining, they still make up 16% of town centre leisure venues, with cafes, takeaway food venues and bookmakers all in the top 10. Prof Jonathan Morris, a historian at the University of Hertfordshire who has studied the proliferation of coffee shops, said the cultural revolution of coffee shops began in the 1990s when programmes such as Friends and Seinfeld were popular. Technological advances, particularly laptops and the internet, were also behind the increase. Longer commutes and work days were also having an impact, Prof Morris added. "People socialise during the day or after work rather than evenings now," he said. "Places like snooker and bingo halls take a bigger chunk of time, while meeting for coffee doesn't take long. "To halt the decline, pubs needs to develop their daytime offer." Image caption Could the Great British Bake Off be behind the rise in cake makers? Prof Ken Roberts, who has studied leisure culture, said the demographic of who goes out has changed. "The growth in young single people who are postponing the age of marriage and motherhood; a rise in students and older, retired people, are driving the change," he said. Prof Roberts added that older people tend to spend their money on holidays, top restaurants or big events like theatre weekends to London, whereas younger people were more likely to go out in the evenings and also have cheap meals out. The figures show the North East had the largest growth in restaurants, with an 18% increase, while London had the greatest drop in bars, pubs and clubs, at -14%. Cafes and tearooms are the most popular types of leisure business in London, accounting for 20% of the total. Indian, Italian and Chinese are the most popular types of restaurants across England, but there are regional quirks as well - in Leeds, there has been a rise in Spanish restaurants, while American diners are proving to be popular in Bristol. Snooker clubs have seen a drop of about 35%. According to Sport England, the number of people who say they have played the game each week has dropped 43% from 64,400 in 2011, to 36,800 in 2016. Jason Ferguson, chairman of the World Professional Billiards and Snooker Association, said the clubs were a victim of the decline in the licence trade, and were fighting - like most sports - to get people away from mobile phones and laptops. "We're dealing with a completely different world now and there is an argument to say that a reinvention is required," he said. "The traditional snooker club, which the sport had in the 1970s and 80s, is not working now but there are many that are thriving. The snooker clubs that are closing down are probably not inviting; there's a little doorway on a street where people don't go in. "Whereas those that are in the right location with the right facilities, such as in shopping centres and with head coaches, are doing well." 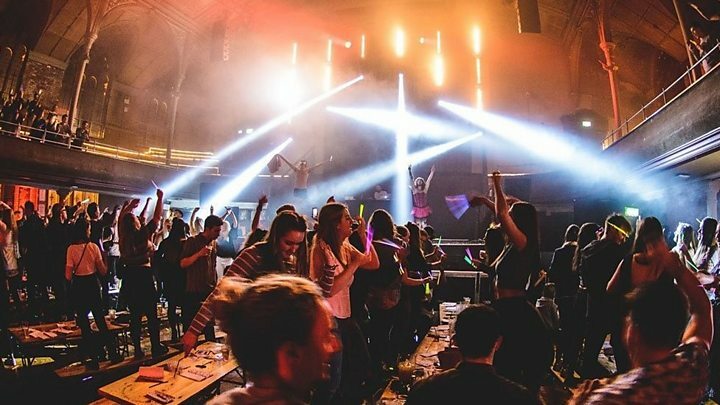 Last call: What's happened to London's nightlife? Video World Snooker Championship: Is the sport in decline?